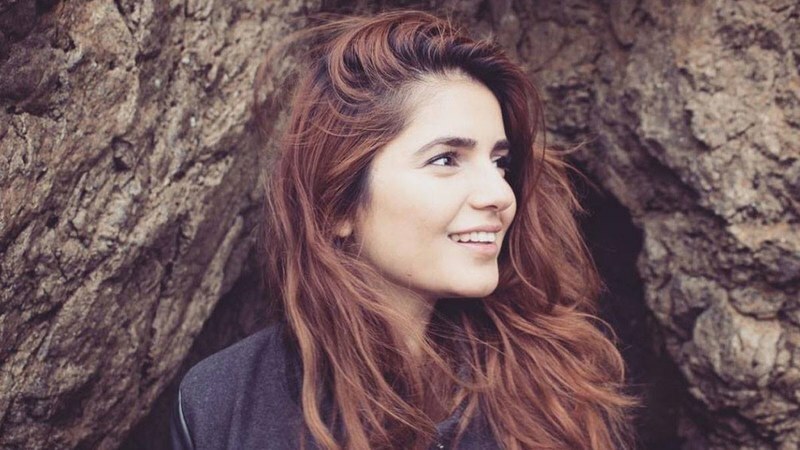 She’s beautiful, she’s talented and she has a heart of gold — nobody is surprised that Momina Mustehsan is fast becoming one of Pakistan’s most-loved celebrities. In an interview with Images, Momina revealed that she has a lot more to achieve, while she prepares to tie the knot soon. So I was lucky that Momina took out the time to have lunch with me at a café in Islamabad. The singer/songwriter walked in fashionably late (which she insists was a first), wearing a magenta t-shirt with ripped jeans and her fiance’s reflector shades. Without wasting any time, we began our chat about what the future holds for Momina. Excerpts follow. 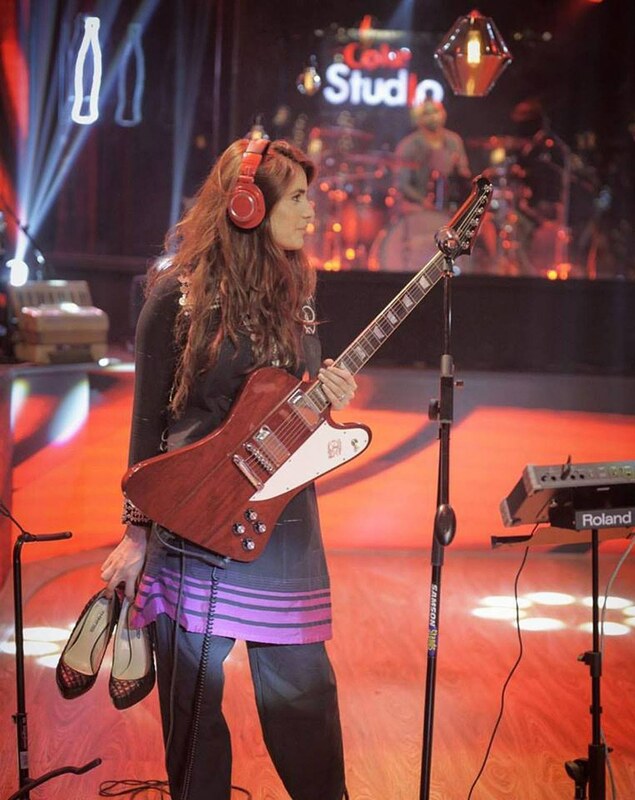 Despite having a number of singles and collaborations to her credit, Momina’s claim to fame is undoubtedly her chart-topping appearance in Coke Studio’s ninth season. Being the only female singer to bag three tracks, Momina describes her first Coke Studio song with over 18 million views, ‘Afreen’ as a “feel good, Bollywood-ish” tune. To Momina, what worked for ‘Afreen’ was the fact that the track had already been an iconic tune that people have loved listening to for years. Momina went on to prove her skills as a musician in the pop-rock number ‘Main Rasta’, where she plays a killer electric guitar solo. And then she sang a “dreamy, contemporary, romantic ballad” titled ‘Tera Woh Pyaar’. Given that she became a household name after her Coke Studio break, does she feel the show is only remaining forum for musicians to showcase their talent? However, despite her newfound fame, Momina doesn’t plan to switch careers to full-time music. “I never really joined the industry. I’ve been passionate about music for as long as I can recall, I love singing and making music, and I had some time on my hands when I was offered to be a part of such a prestigious platform alongside such well-established musicians. I’ve grown up looking up to them. I remember singing Strings, Faakhir and Noori’s hits back in the day. I haven’t moved to Pakistan, but I love it here and I always keep extending my trips,” she says. Momina also wants to ensure that she makes music for the right reasons. “I love making music and I’ve always been doing that, I just didn’t make it commercial. I don’t mind being in the public eye as long as I am doing something substantial. I am not about glamour, fame and all that comes with it, so now that people know me so much, I think I have a responsibility to give them back and set a good example,” says the musician. Also read: Why is calling someone a ‘maid’ considered an insult? Having been offered multiple acting projects from both sides of the border, Momina chooses to stick to music. But this is not to say that she’s not a big fan of cinema. For starters, she’s very hopeful for Pakistani cinema’s future. “I really commend the filmmakers who are making an effort to revive the film industry. Whenever I am planning to watch a movie with a friend here [in Pakistan], I make sure I watch a Pakistani movie since I believe we must support our own cinema,” she shares. Even though she sang the title track of Zindagi Kitni Haseen Hay, her favorite Eid release was Janaan. As far as Bollywood goes, her debut Bolly track ‘Awaari’, co-sung by Adnan Dhool of Soch band, happened to top the music charts, bagging the film Ek Villain ‘Best Music’ nominations at all major award ceremonies including IIFA and Filmfare. Now that Bollywood appears to be a closed door for Pakistani artists, Momina believes that the only way forward is to promote dialogue between the two countries. “The general population on both sides loves and respects each other. Honestly, I think it is very political. I don’t even know how things escalated so much. In their [Indians’] defense, that’s what they’ve been told – in a war, nobody knows who fired the first bullet,” Momina believes. “My father was in the Army and while we were in Lahore, there was an operation going on in Waziristan, and there used to be a funeral every other day. It didn’t feel that good. They were fighting a battle orchestrated by other people. In this scenario, however, instead of killing people, why can’t we solve a dispute with dialogue?” she says. While the Momina we know is probably one of the biggest young stars of the country, she happens to be a complete family person. And it would not be incorrect to call her brothers, Hashim and Haider Mustehsan the newest heartthrobs, who also rose to fame along with their sister. 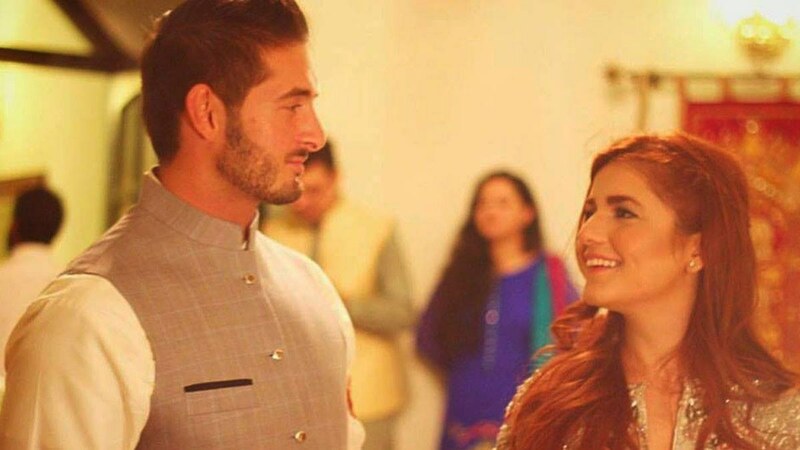 Right after being granted with immense success, Momina got engaged to an investment banker, Ali Naqvi, who is settled in Los Angeles. She met this fine young gentleman less than a month ago and is currently busy getting to know her future husband and in-laws. Despite being a “private person”, her engagement struck the nation like lightening and let’s just say this singing sensation is not very pleased. Nonetheless, Mr. Naqvi claims to be Momina’s No. 1 fan and is very “supportive” towards every initiative of hers. What exactly is ‘parhain ge tou barhain ge’? 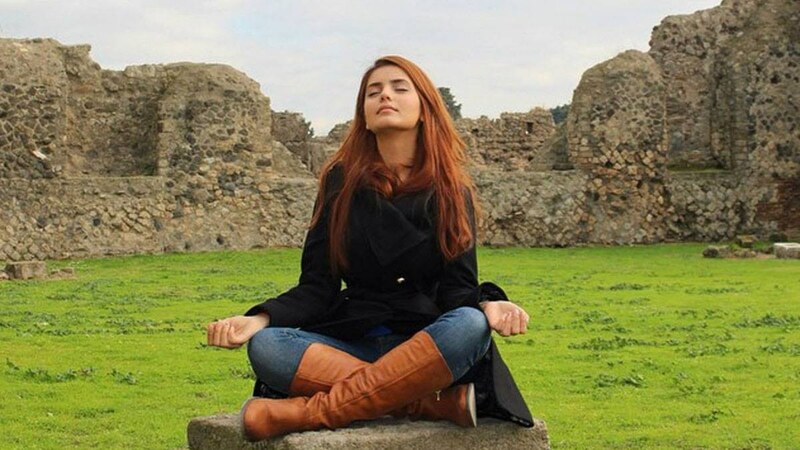 Not only is Momina Mustehsan a talented singer, but she also believes in using her fame for good. The singer has ventured into social work and has taken up two projects, but is also planning on starting a few more. The initiative will provide instructional videos in the form of DVDs along with workbooks that will be distributed in cities and towns without schools. “It will be on a primary level, but will give people some food for thought and that may help them stimulate their imagination and explore their interests,” Momina tells us. Interestingly, the story doesn’t end here. The dual Bachelors Degree holder in Engineering and Mathematics is also working on making Pakistan a polio-free country through an invention that has never been utilised in this part of the world before. “My second project is to build solar panel power vaccine transport coolers for polio eradication since Pakistan is still one of the two countries that aren’t polio free yet. The major reason behind it is that we are not able to keep vaccines at a certain temperature. So this can be charged by solar energy and maintain the cold chain,” Mustehsan asserts. Momina hopes her work will contribute to making Pakistan a better society. To Momina, she is not a feminist, but she does believe in gender equality and respecting each other’s opinions. “I like cardamom tea but my mom doesn’t, that does not mean we hate each other. That’s what makes us humans – we are all different,” Momina says as we end a fabulous session with the gal about town.